Contents: Introduction. Part One Reviewing The Context: The change we face; Adapting to survive; Making the link; An unholy alliance; Searching for panaceas; Real lives; Who needs bureaucrats? ; Prising open government; The nature of the challenge. Part Two Rethinking The Culture: Monolith, Makeshift, Modernizer or Mould-breaker? ; Human barriers to progress; Structural barriers to progress; New ways to work; Responding to the challenge. Part Three Redesigning The Environment: Plotting your moves; Town square; Village neighbourhoods; City in miniature; The space-time machine; The campaign room; Welcome to the club; Managing change; References and bibliography; Index. Gavin Turner worked for 28 years for HMSO where he was Corporate Marketing Director in the late 1980s. In 1991 he started, and ran successfully for five years, a new office furniture business which placed a particular emphasis on the design of the office environment. He is a law and history graduate of Edinburgh University, a semi-professional musician, and a Fellow of the Royal Society of Arts. 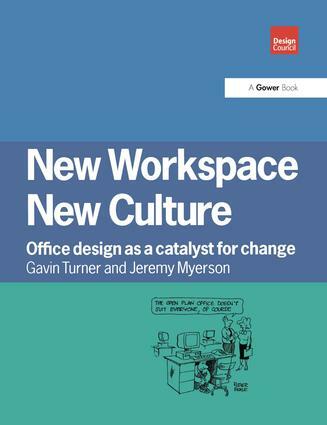 Jeremy Myerson is a writer, editor and researcher specializing in design, architecture and the workplace. He is a visiting professor at De Montfort University, Leicester and was Founder-Editor of DesignWeek. His many books include International Interiors (Volumes 5 and 6), New Public Architecture and Gordon Russell - Designer of Furniture. He is a graduate of the Royal College of Art and a Fellow of the Royal Society of Arts.